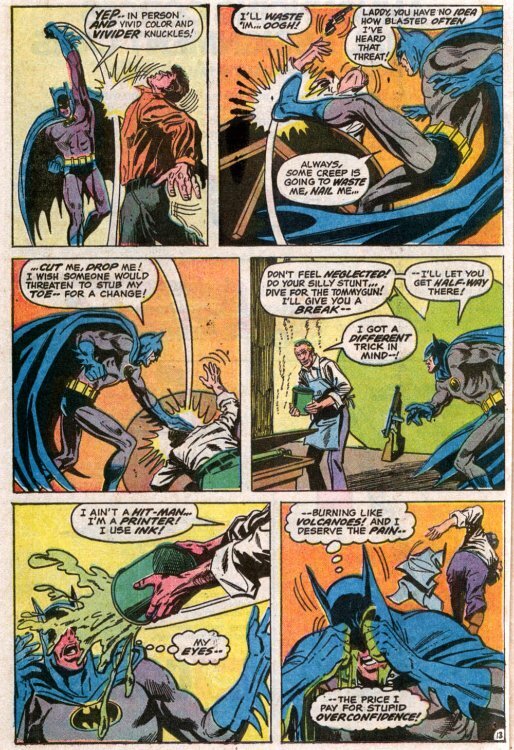 While tracking a group of counterfeiters, The Batman is saved by an expert marksman who shoots a criminal in the hand who was about to plug the Darknight Detective. 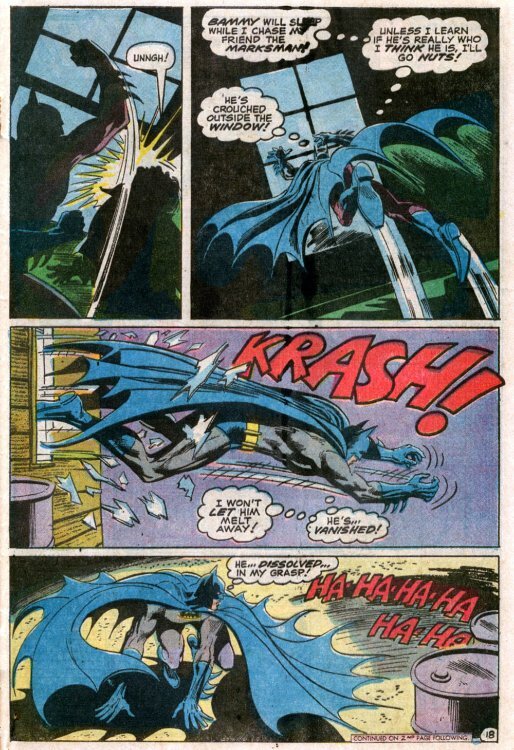 The wounded criminal runs into a dead-end alley...and disappears...with only a mocking laugh to indicate anyone had been there! 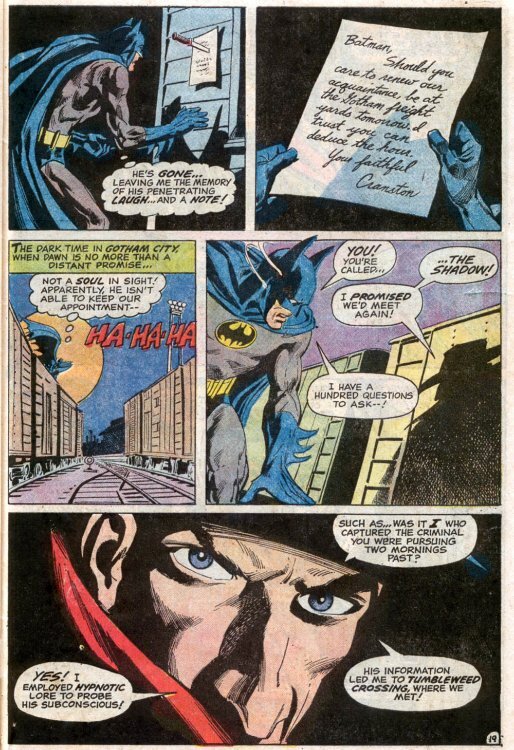 A clue from the crime scene leads the Caped Crusader (as Bruce Wayne) to Tumbleweed Crossing, where he meets another visitor...Lamont Cranston, a scientist investigating the water supply, which is loaded with minerals and would be perfect for matching the government's formula for the ink used in printing...money! 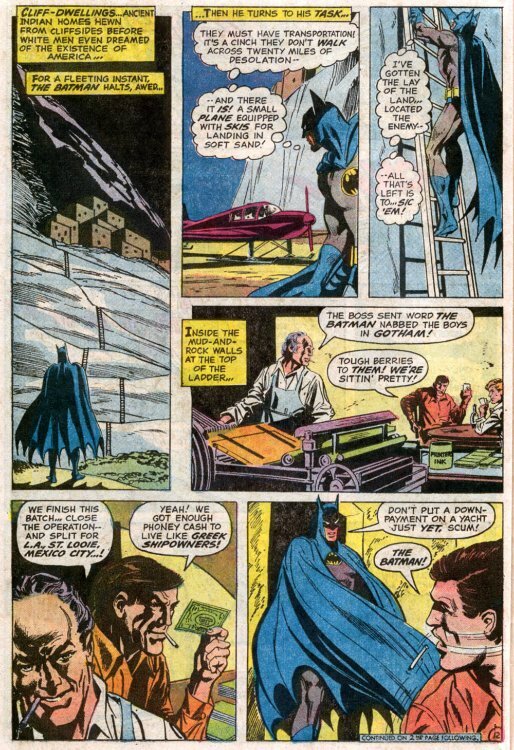 Believing nearby abandoned cliff-dwellings would be an ideal base of operations for the counterfeiters, The Batman is ambushed as he heads there, but an antique autogyro distracts the gunmen long enough for the Cowled Crimebuster to capture them. 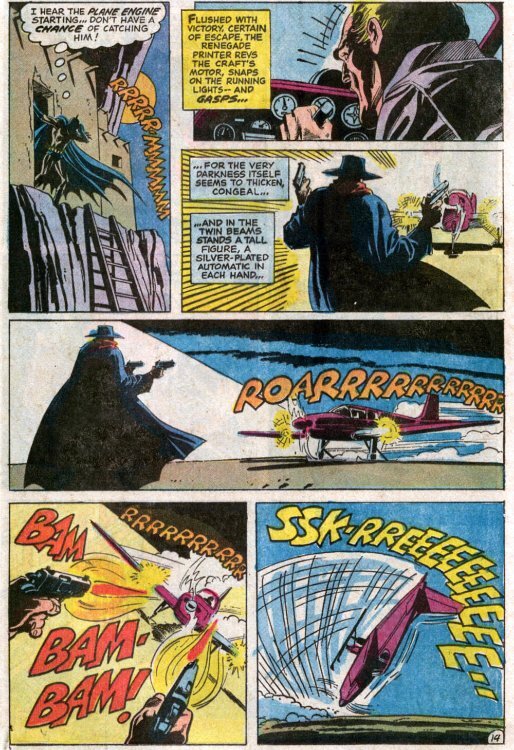 As he nears the ruins, The Batman speculates about the identity of the mysterious laughing marksman in the autogyro. 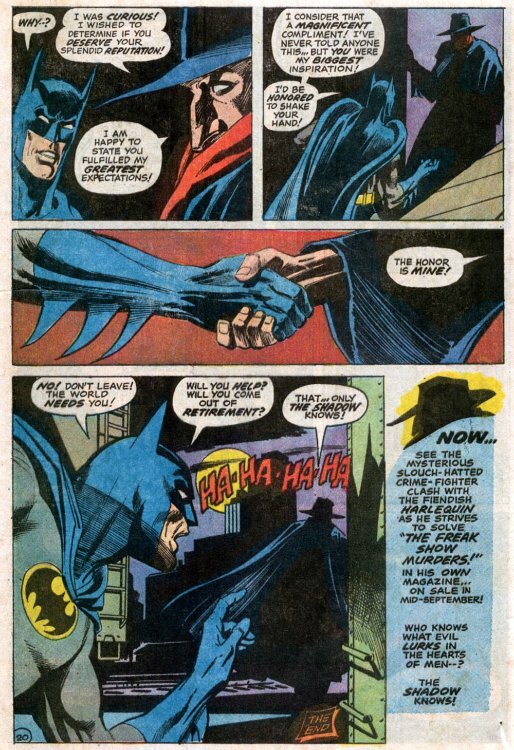 This appearance in Batman #253 came between the first and second issues of The Shadow's bi-monthly Bronze Age run at DC, back when comics actually came out on schedule. 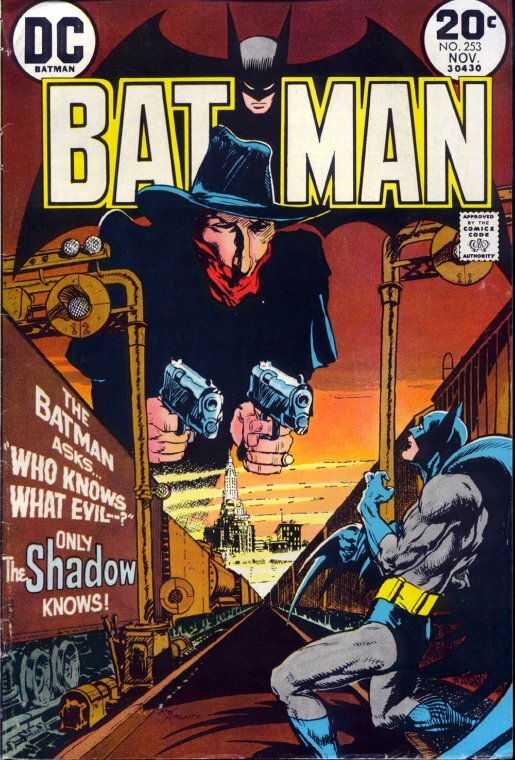 We'll be presenting the other Batman story featuring The Shadow HERE, and the Shadow/Avenger team-up HERE! 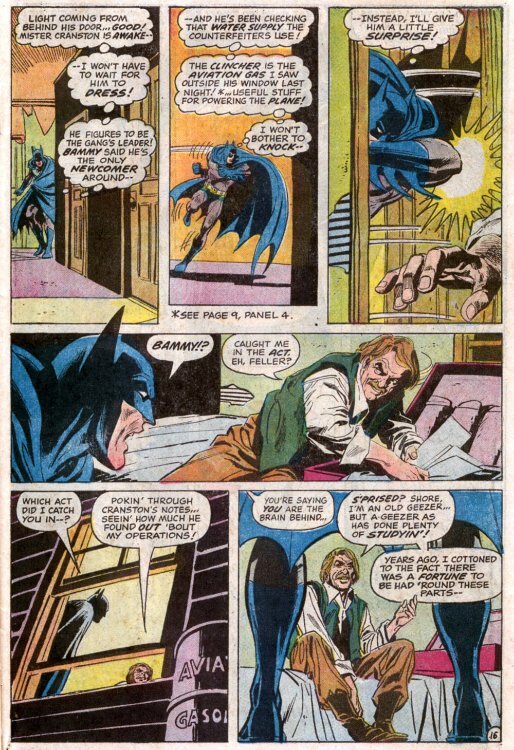 And, if you want to see a REALLY strange version of Lamont Cranston, be here next week, when the purple and green costumed version makes his debut! 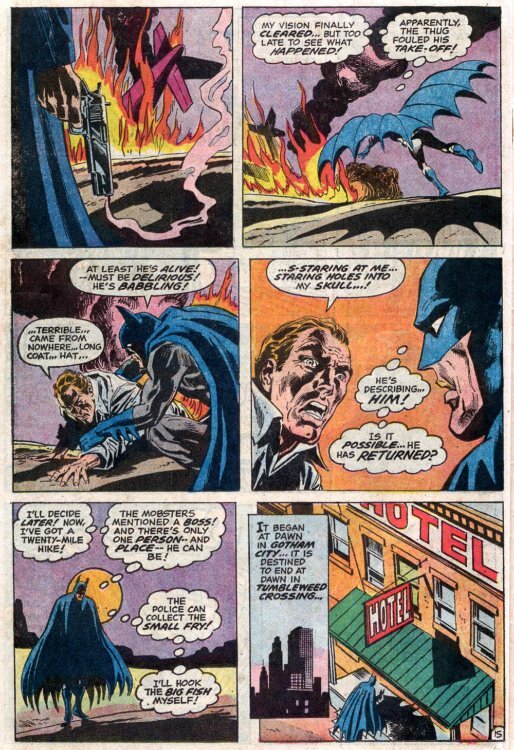 for goodies featuring other Silver Age heroes, besides The Batman and The Shadow! Reading Room: PHANTOM LADY "Shroud for the Bride"
Video Fridays: The FIRST Live-Action THOR! 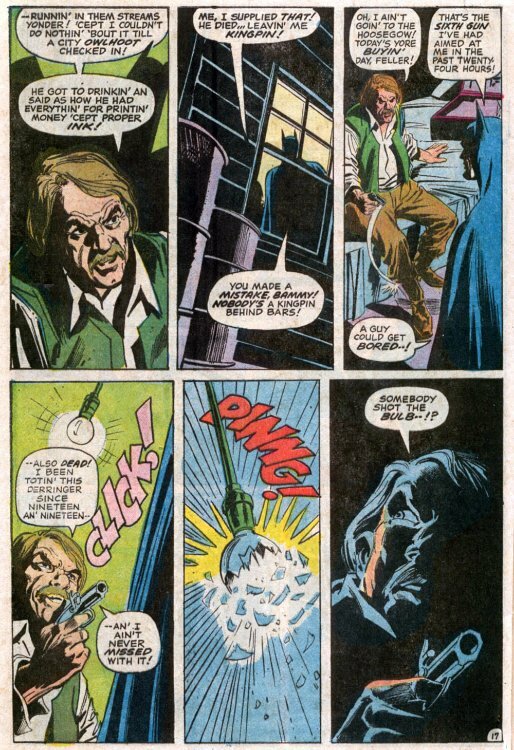 Reading Room: PHANTOM LADY "Condemned Venus"
Jet Powers: Captain of Science! 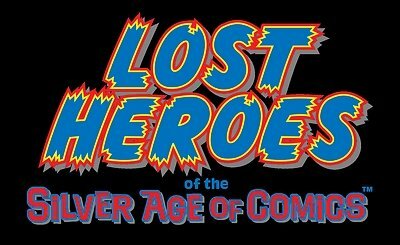 Reading Room: THE SHADOW "Eyes of the Tiger"
Reading Room: PHANTOM LADY "Beauty and the Brain"
Video Fridays: Thor vs the Destroyer! It's THORSday! All Hail MIGHTY THOR!